As a wedding videographer in an increasingly competitive field you owe it to yourself and your business to be able to offer clients the most cutting- edge technology available. Live streaming is the future of video in all sectors, especially weddings. 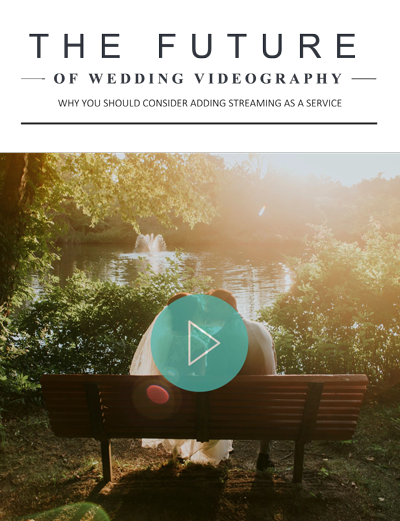 Adding a streaming option to your list of services will help you stand out in the great sea of videographers and will make you an invaluable resource to brides and wedding planners. Read this short ebook to learn more about why you should become a streaming videographer.